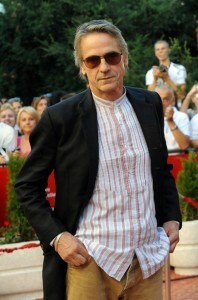 On July 14, 2012, Jeremy Irons attended the Sarajevo Film Festival. Video clips and photos are posted below, and please follow this link to the Sarajevo Film Festival site to see a photo gallery of Jeremy Irons at the festival. Jeremy Irons at the Sarajevo Film Festival 2012: Click to view more!